Within your business, it is of paramount importance that you make sure the appearance of your property is to a high standard. Your premises represent you. Wooden flooring is the ideal solution for commercial properties as it’s designed and installed to cope with high traffic on a day to day basis. Forrestal Flooring is experienced and fully trained in commercial flooring installations, and by using traditional methods alongside the latest technology, we’re able to produce stunning results on time, to budget and at the quality you’re looking for. We’ll help you make the right decision.  Lively high-traffic foyers, quiet office spaces or trendy shops – at Forrestal Flooring we will help you select the right flooring, ensuring it’s not only affordable but also sustainable. We can help you select the species, design and finish – everything from the thickness of the plank, the laquer type and pattern – to deliver aesthetically pleasing quality flooring that lasts. Over the years we’ve gained the practical understanding needed in order to be able to offer you reliable service and support through the entire building process, from planning to maintenance. If you’d like to discuss your next installation, get in touch today.